By now most Catholics have heard of the “Filial Correction” issued by a group of 62 clergy and scholars and addressed to Pope Francis. 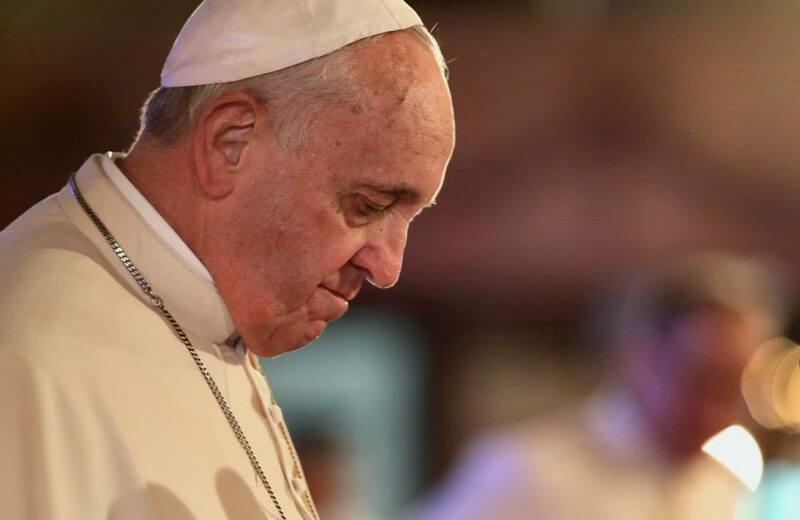 In essence, the Filial Correction argues that by his words, deeds, and omissions, Pope Francis has allowed a number of heretical opinions regarding marriage, the moral life, and the reception of the sacraments to spread in the Church. I encourage you to read the Filial Correction in its entirety. Since the Filial Correction’s release, other signatories have been added, and my name was added on October 5. I’d like to explain here why, after much prayer and consideration, I added my name to this Filial Correction. A common narrative associated with the Filial Correction is that there are two sides of the battle: those who care about individuals facing real-world difficult situations; and those who only care about doctrine, with little thought of actual people. Those in the former group are “pastoral”; those in the latter group are “doctrinaire.” These labels give a clear indication of which group is supposedly more compassionate and caring. However, it is precisely because of real individuals in real-life situations that I decided to sign the Filial Correction. For over twenty years I’ve been involved in evangelization efforts at the parish and diocesan levels. In that time I’ve talked to hundreds of Catholics about their “real-world” situations: from divorce and remarriage to homosexuality to fallen-away children to everything else you can imagine. As one might guess based on the current state of the Church, a large portion of the Catholics I’ve encountered have a faulty understanding of Catholicism and Church teaching. Some of their errors are slight and easily corrected; other times they represent heretical beliefs—in some cases the faulty belief system amounts to, in essence, an altogether different religion. However, it is only in recent years, specifically since the election of Pope Francis, that I have seen these Catholics emboldened in their errors and hardened in their heresies. For years, when I was discussing a “controversial” topic with a Catholic, I would argue from Scripture, Tradition, and reason for the Catholic position. I would also bolster my argument with the writings of the current Holy Father, whether that was John Paul II or Benedict XVI. However, in recent years when I outlined the Catholic position I would quickly hear, “But Pope Francis says…” followed by an erroneous understanding of Church teaching. Never did I experience the previous two pontiffs used in such a manner. These were not just theoretical or hypothetical arguments either; they were real-world Catholics justifying real-world sins by virtue of the teachings of the current Vicar of Christ. A few examples are in order. I know a Catholic woman who attends Mass regularly and whose son has been a practicing homosexual for many years. She supports his lifestyle, claiming that he was born that way and that he is unable to live chastely. I first met her when Pope Benedict XVI was reigning as pope. She was frustrated at the Church’s position on homosexuality (she knew it was against her own position), and she longed for the Church to change. I explained to her that would not happen, and was impossible in fact. Then Pope Francis was elected, and in less than a year she was crowing that the Church was, in fact, in the process of changing its position and “accepting her son.” No matter how much I tried to convince her that the Church did not—and would not—change its teaching in this regard, and that her son’s lifestyle was harmful to him, she went to sleep each night convinced that she had been vindicated by Pope Francis. Another example. A woman I know had a sister who was divorced and remarried (without an annulment). Her sister was a Mass-going and Communion-receiving Catholic. This had gone on for a number of years, and my friend was uncomfortable with her sister’s practice, but didn’t say anything to her about it. Then this issue catapulted to the forefront of the Church due to Pope Francis. My friend followed the stories of the Synods and then Amoris Laetitia with much interest, and she eventually concluded that her sister was doing nothing wrong, and in fact she could and should receive Communion even though she was living in what the Church had since the time of Christ considered an adulterous union. So in the first example, a young man is living a dangerous and destructive lifestyle—one that harms him physically, emotionally, and spiritually—and his mother fully endorses that lifestyle, believing that she has the backing of the Vicar of Christ. In the second example, a couple engages in sexual union outside the bounds of matrimony, yet receives communion, thus fulfilling the words of St. Paul, “any one who eats and drinks without discerning the body eats and drinks judgment upon himself” (1 Corinthians 11:29). Yet no one challenges or confronts them on the wayward path they are following. Now contrast these stories with two others from my experience, both from before the time of Pope Francis. I have a friend who lived a promiscuous homosexual lifestyle for years. He was miserable, and he makes clear today that this lifestyle, no matter how much the media promotes it as natural and joyful, is destructive to the human person. About fifteen years ago he heard the message of the Church regarding homosexuality, came into contact with the apostolate Courage, and left his sinful lifestyle. He is now living chastely and is more happy and joyful than he’s ever been before. All because he was presented with the beautiful truths of the Faith regarding human sexuality. I am also good friends with a Catholic woman who years ago married a Protestant in a Protestant ceremony (i.e., outside the Church). She attended Mass regularly, receiving Communion without any qualms. One day she heard a homily in which the priest lamented the number of Catholics who are in invalid marriages and who receive Communion. She realized that day that she was one of those Catholics. She met with the priest, who charitably but firmly told her that she needed to go to Confession and validate her marriage before she could receive Communion. She followed his advice and was reconciled to the Church. Her husband, inspired partly by the Church’s strong stance on the sanctity of marriage, eventually converted to Catholicism. Because this priest clearly articulated the Church’s teaching on marriage, a family that was at one time outside the Church is now a practicing Catholic family. These are the people I think about when I hear calls for a softening of the Church’s teachings on human sexuality and marriage. Yes, I believe it is important for the Church to defend strongly its doctrine, but, contrary to popular belief, this defense is not at the expense of people, but instead for their happiness and salvation. Sadly, in many quarters there is no longer even an attempt to square the circle; instead, the heretical interpretations of Amoris Laetitia have become accepted and promoted as orthodox. Catholic leaders are embracing the core practice at hand—communion for those who are divorced and remarried without an annulment—because they are accepting the heretical presuppositions behind it. For example, Cardinal Ouillet, prefect of the Congregation of Bishops, explicitly called for those who are in such irregular unions to be able to receive communion. On a lower level, well-known Catholic apologist Tim Staples also promoted the idea that adultery shouldn’t preclude someone from receiving communion, arguing that sexual relations between two people not married to each other is not always a mortal sin. Note in both cases, these are not “liberal” Catholics who have previously advocated for heretical positions; they have been up to now rock-solid orthodox Catholics. Yet they believe that Pope Francis (and Amoris Laetitia) calls for a practice that is clearly contrary to Church doctrine dating to the time of Christ himself. Can a Catholic “Correct” the Pope? I realize that even those who agree with the content of the Filial Correction might be uncomfortable with the idea of “correcting” the pope. After all, isn’t he the Vicar of Christ? Doesn’t canon law state that “the First See is judged by no one” (Can. 1404)? I’m not going to argue this point here, as others have ably done so. This false accusation railed against Pope Francis, claiming that he is teaching or prompting heresy in part of his Ordinary Magisterium is in effect a denial of the one of the essential truths behind the teaching authority of the Roman Pontiff, who is granted Divine assistance which prevents him from erring in matters of faith and morals, even when teaching non-infallibly. Note what is being said: the pope is prevented from teaching error, even when teaching non-infallibly. Yet that is a logical contradiction: if he is prevented from teaching error, he is by definition teaching infallibly; if he is teaching non-infallibly, it is by definition possible for him to err. Either he cannot teach non-infallibly (which contracts Catholic belief), or he can err. Such illogical thought has unfortunately become all-too-common in the Church today. Ultimately, I signed the Filial Correction because of my deep love and devotion to the papacy, and because of my desire for the salvation of souls. I also signed it with deep sadness and grief. My saintly father-in-law, who mercifully passed away before the pontificate of Francis, taught his children a simple rule: follow the pope. He knew, as Catholics should instinctively know, that one will be spiritually safe if he remains united to the pope. But this union is not one of blind, unthinking obedience; it is part of a devotion to the Church, her Lord, and the totality of her Tradition. As St. Paul demonstrated in the first days of the Church, love and devotion to the papacy does not preclude filial correction, because souls are at stake. It is my hope and prayer that this Filial Correction will be a step towards a papacy which gives a full-throated, robust defense of Catholicism to a world that desperately needs it. Go back, you are needed. I realize the need is great, but it just isn’t in my heart. I am so flummoxed about… things going on in the Church. It is hard to teach whenever the insults keep coming from our leaders. Kids aren’t aware of it. True that. Yet another issue is how many of the kids were coming out. That is to say not very many. I had Jr.s & Sr.s and we started off with about 16 or so in August. By January we had about 3 most times (including my son). I just felt like I needed to be home. The kids (and their parents) really don’t give one iota about the Faith. Kev, I’m with Lisa. You are desperately needed (even if for only 3). Remember Abraham bargaining with God about Sodom & Gomorrah? God wants to save us but likes to use our eyes, hands, ears, etc. to do it. By the way, there are some great programs at Ascension Press for teens including Encounter, You, and Theology of the body for teens. Hang in there brother! I’ll pray for you and hope you will return the favor. Very kind words, Mr. Brayer. Thank you. Certainly will return prayers for you. Our parish CCD program does in fact use some Ascension Press material. Yes, good stuff. I’m just focusing on praying and trying to figure out what to do next. At present, teaching does not seem to be on the radar screen. God bless all who read Eric’s blog. Thank you for this article! It is very clear. Thank you, also, for signing the Filial Correction.